Every now and then you try something new and it’s so good it becomes your new standard. 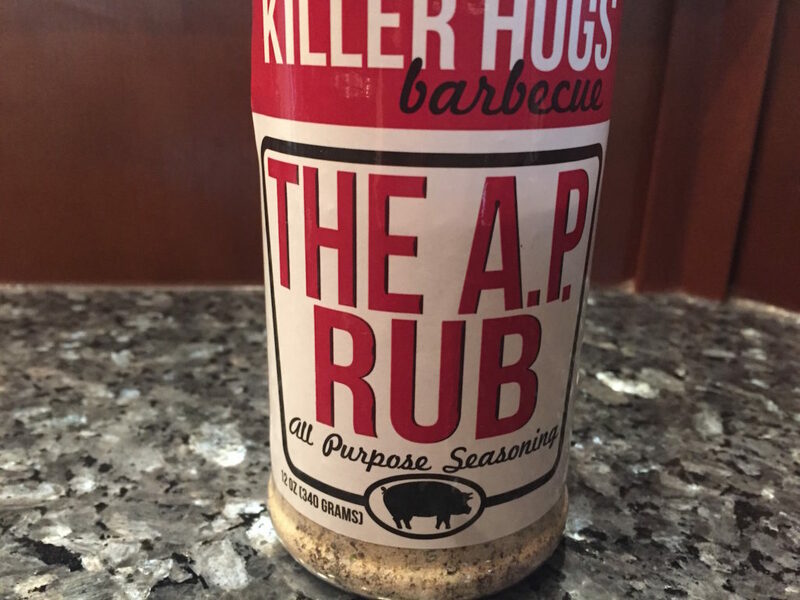 That’s what happened to us this summer after discovering the Killer Hogs line of sauces and rubs. 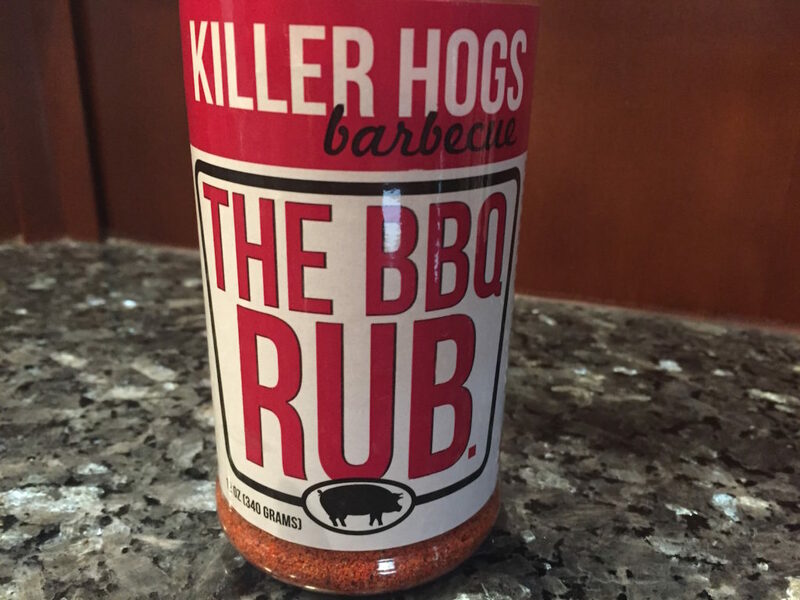 Killer Hogs is in fact an award-winning (many times over) bbq competition team comprised of brothers Malcolm and Waylon Reed. These guys know what they’re talking about, and they love sharing their passion as is evident in their friendly, entertaining and very useful bbq tutorial videos. Their products are truly worthy of their reputation: flavourful, super versatile, and awesomely tasty in every mix-and-match combo we’ve tried. We highly recommend that you grab some for yourself. What I’m finding myself most excited about is this gem below, Killer Hogs A.P. (All-purpose) Rub. The ingredient list is deceptively basic (salt, garlic, spices, etc. ); whatever magic they do in the mixing makes this an outstanding blend to put on every kind of meat. It works really well alone, and we’ve had several steaks dressed in nothing but A.P. But what’s really got us going is the layering technique Killer Hogs suggests in their tutorials. We layered these three on a steak the other day, and couldn’t get over the robust flavour and colour. 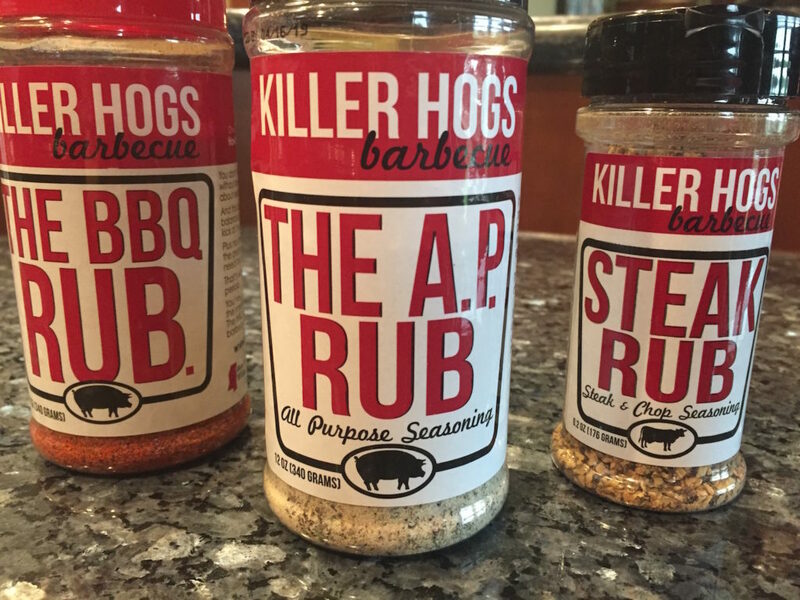 We’ve had fun around the grill combining the rubs in different ways (dialing back this, amping up that…) and haven’t gone wrong yet. 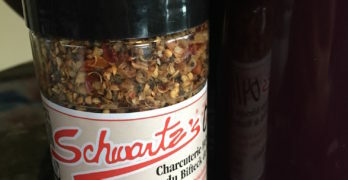 So do stop in here soon for most posts about this line of rubs and sauces soon as we’ll surely be doing more experimenting. 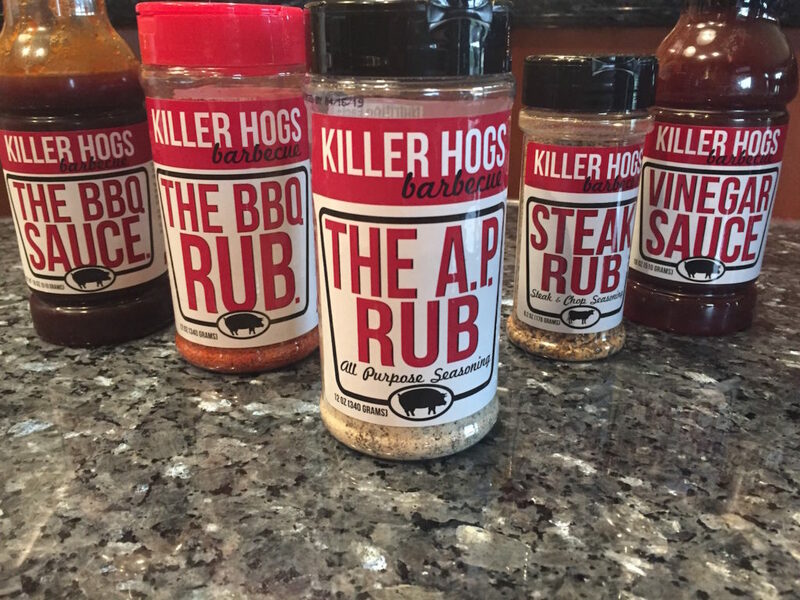 (And head over to the Killer Hogs website for some truly inspiring bbq tutorials – definitely worth a look).